Optim LLC has been a global leader in the design, manufacturing and marketing of a full line of medical endoscopes and innovative contraband videoscopes and fiberscopes for public safety and security for more than 45 years. Optim’s products are sold worldwide through a network of factory trained and authorized distributors. 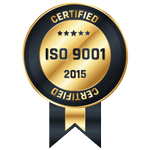 Optim is ISO 9001 certified and is committed to developing products that meet and exceed international industry standards and our customers’ needs for high quality and reliability. Optim’s products are designed and manufactured in our Sturbridge, Massachusetts, USA facility to ensure the highest levels of quality control, continuous improvement and customer support.